We will be updating this as we go along. Pictured: The Nexus alongside the Ark Hyperion. Not to scale. 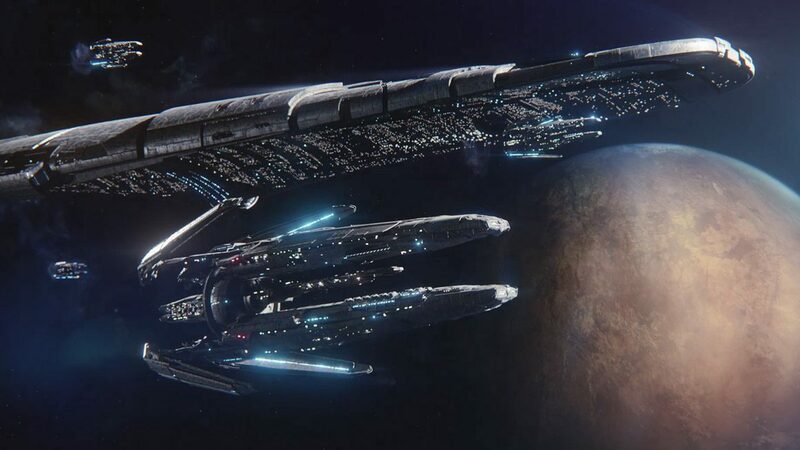 Headquarters of the Andromeda Initiative, this marvel of engineering is a massive space station designed to anchor the returning arks, process resources, and support colonists before their departure to new worlds. All new arrivals must pass quarantine. This is where you will either board or disembark from your ship. You will learn here about the various milky way galaxy species who have moved to the Andromeda Galaxy. Research development begins in the tech lab. 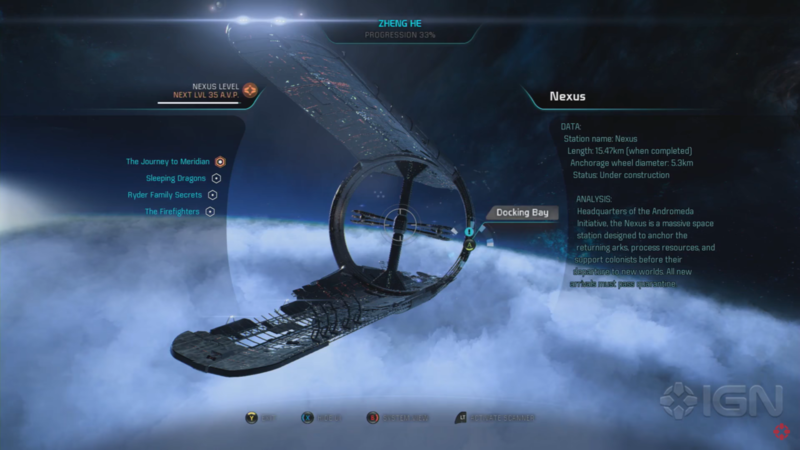 From there you will find numerous upgrades for your crew and for the nexus itself. You will find many weapons, armor, and augments you may find out there in the Cluster. A new bar area located by the docking bay. Science, military and commerce pods are unlockable from this area. Using cryo pod points, you can wake up these inhabitants from their long sleep. The center for security on the station. Contains the Pathfinder HQ, where Pathfinders often share and discuss findings. You will also find many of the leaders, including Addison, Kesh, and Kandros. Post-Planetside, the Hyperion becomes part of the Nexus. Andromeda Initiative temporary quarters until Pathfinders have found and secured homeworlds for their respective races.